Under general supervision, coordinates the care of pediatric orthopedic patients in the outpatient and the urgent care setting managing acute, chronic, surgical and congenital conditions. Is responsible for independent fracture and subspecialty clinics as well as assisting in Physician clinics. • Performs therapeutic procedures, such as non-operative outpatient orthopedic procedures; including fracture reduction; injections and aspirations; splinting; application and removal of casts and other orthopedic appliances as needed. • Orders, reviews and interprets diagnostic studies within the scope of practice. • Manages non-surgical orthopedic problems independently within scope of practice and surgical problems in association with the physician. • Performs non-surgical consults including pre-op exam. • Takes patient histories, assessments, and develops a plan of care based on sound medical judgment and research based evidence. • Develops and implements discharge plans in the outpatient setting. • Makes independent decisions following California laws and regulations. • Provides patient and family education. 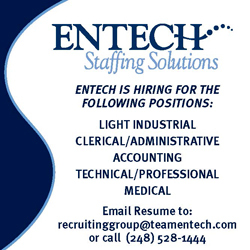 • Manages and coordinates specialty and/or CCS Clinics. • Maintains Pediatric Orthopedic Practitioners Society membership within 2 years. • California Nurse Practitioner license. • BCLS and PALS certification. • Minimum 2 years of related experience. • National Certification from one of the following organizations: American Academy of Nurse Practitioners; American Nurses Credentialing Center; National Certification Board of Pediatric Nurse Practitioners and Nurses preferred. • National certification from Orthopedic Nursing Certification Board highly preferable. Job Categories: Nurse Practitioner Jobs. Job Types: Full-Time.